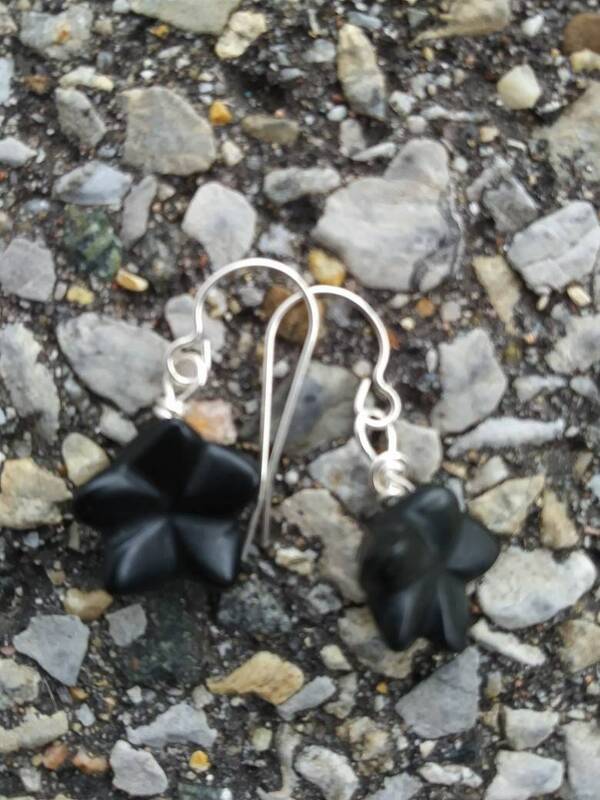 Simple matte black flower earrings earrings. 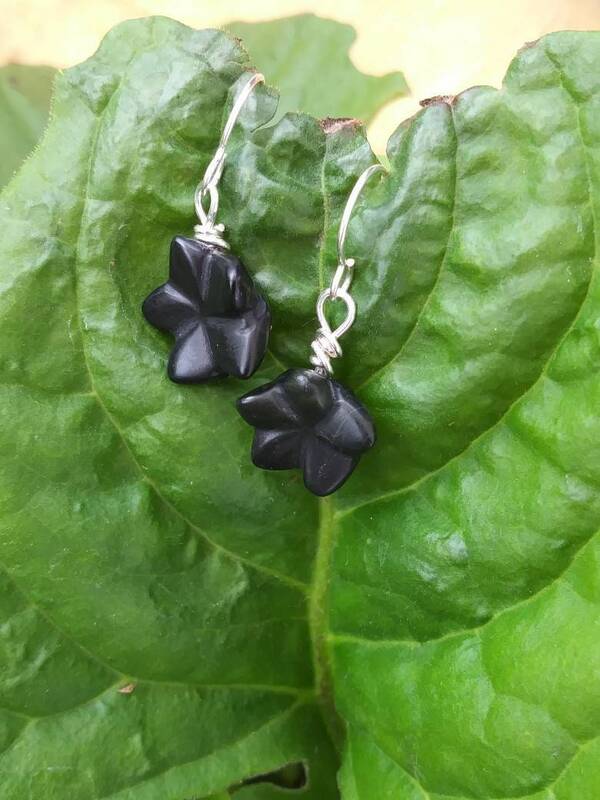 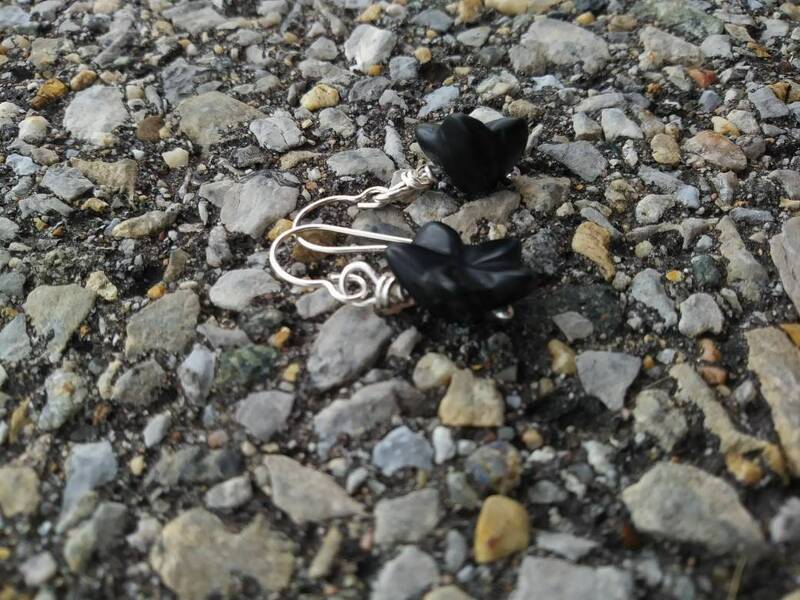 Onyx flowers hang from simple sterling silver french hooks. 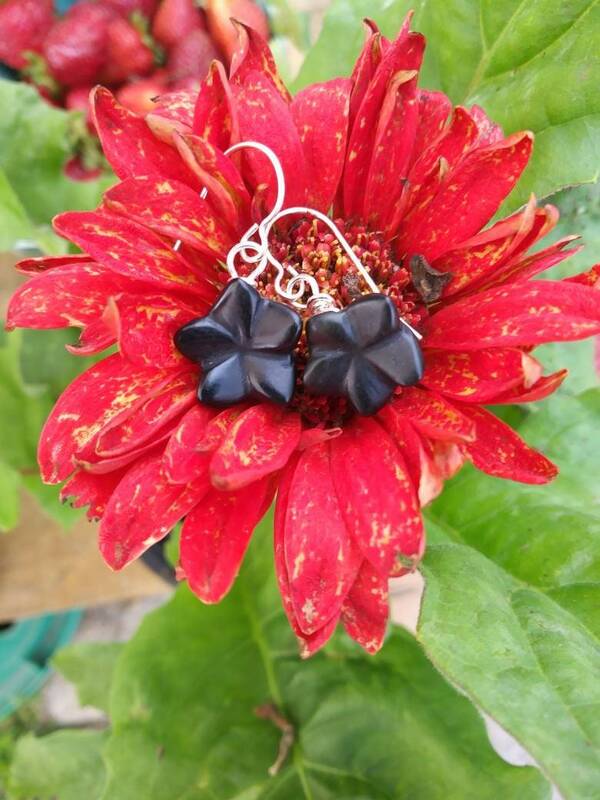 Elegent, yet likely to become your everyday favorites!